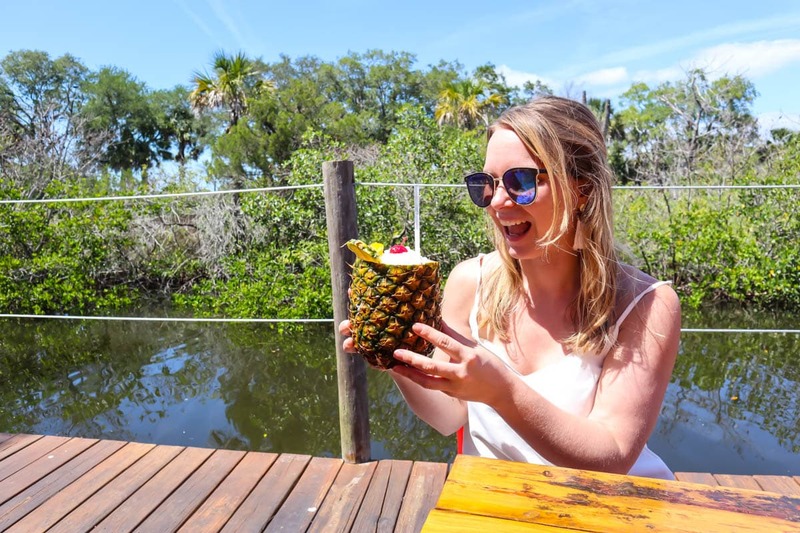 From big fat bucket list ticks as you swim with manatees in the wild, to mental and physical aerial challenges, to tasty lunches and dinners, it’s time for the ultimate 3 days in Crystal River and Pasco County in Florida. 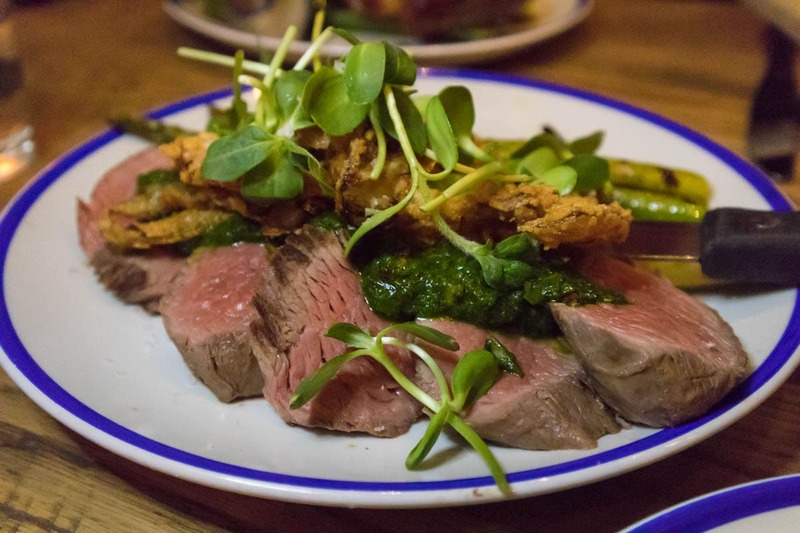 If you read my recent blogs about Florida’s food scene and Tampa, you’ll know I’ve just returned from a seriously jam-packed road trip around Florida. Along with the bustling cities of St Petersburg and Tampa, we headed north to check out some lesser known spots. 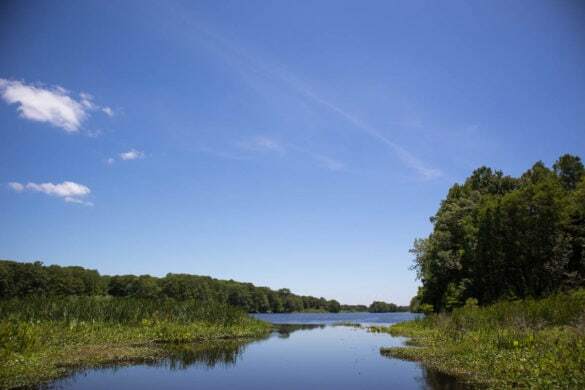 Crystal River is popular with nature and wildlife lovers, as firstly it’s stunning! 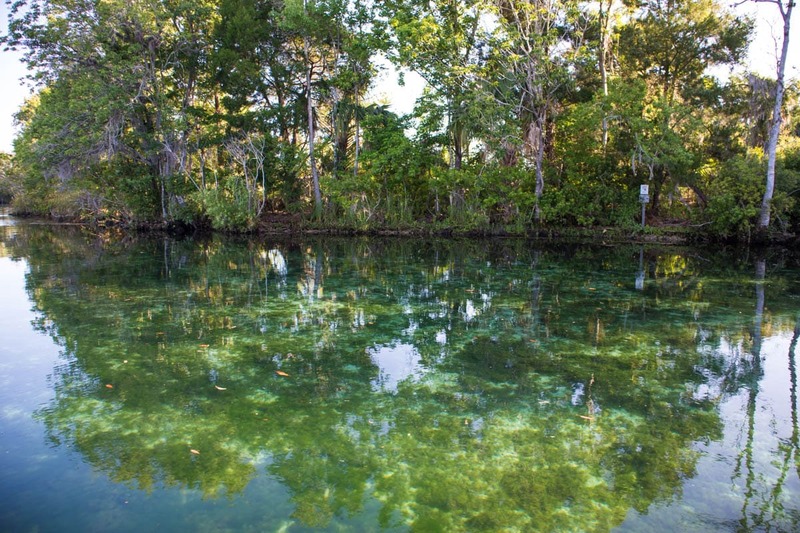 The water around Three Sisters Springs is so pure; it shimmers with a turquoise hue. Then there are the manatees. 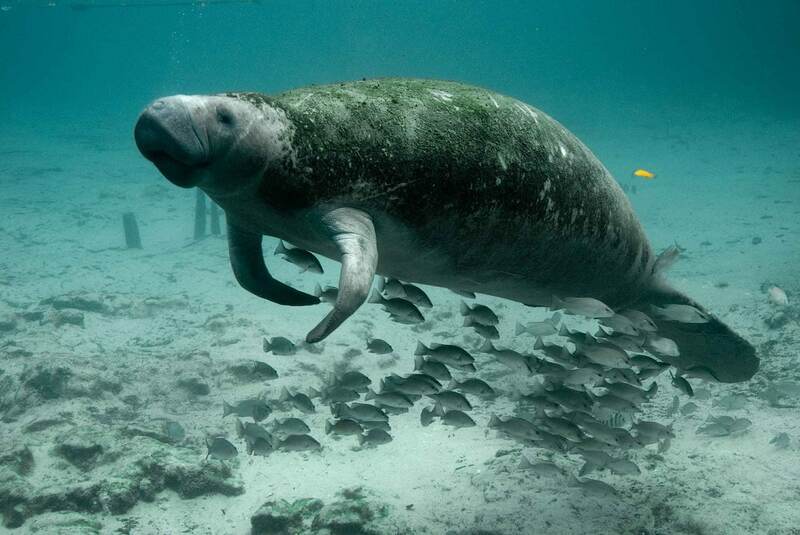 In the warmer months of the year hundreds of manatees congregate in the region. 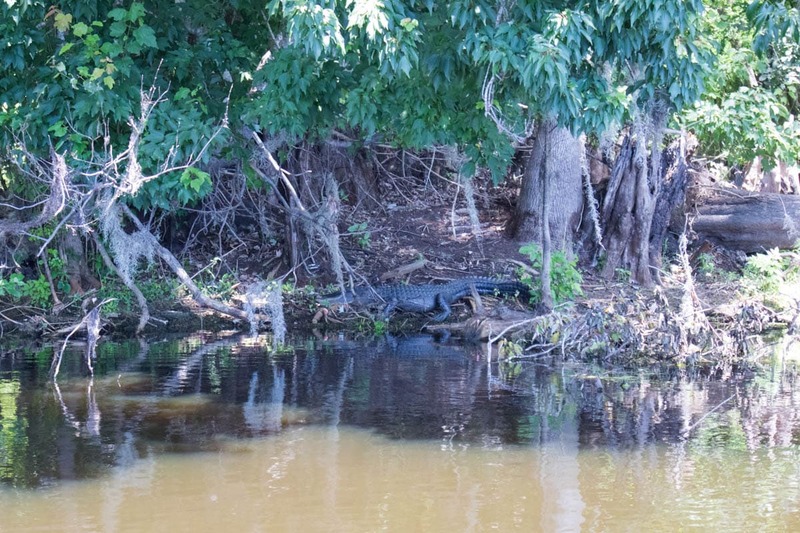 They’re a protected species, but you can swim with them in the wild here. It’s all about ‘passive observation’ i.e. look don’t touch! 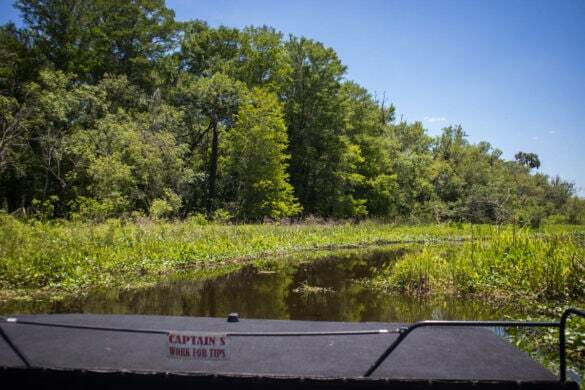 Pasco County is a lot less touristy but has some great spots, and is a winner with adventure lovers. We enjoyed plenty of time out on the water and even zip-lined through the treetops! As both of these areas are north, I’ve packaged them up together as I think they’d make a great few days away. So time to reveal my top things to do in Crystal River and Pasco County, Florida! But first, here’s a little flavour of what I got up to…. 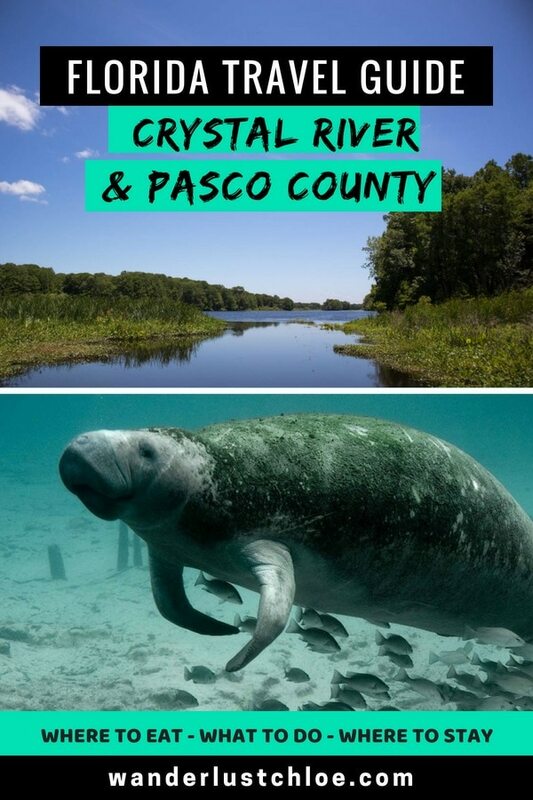 As mentioned, swimming with manatees is the BIG draw for people visiting Crystal River in Florida, and worthy of any bucket list! 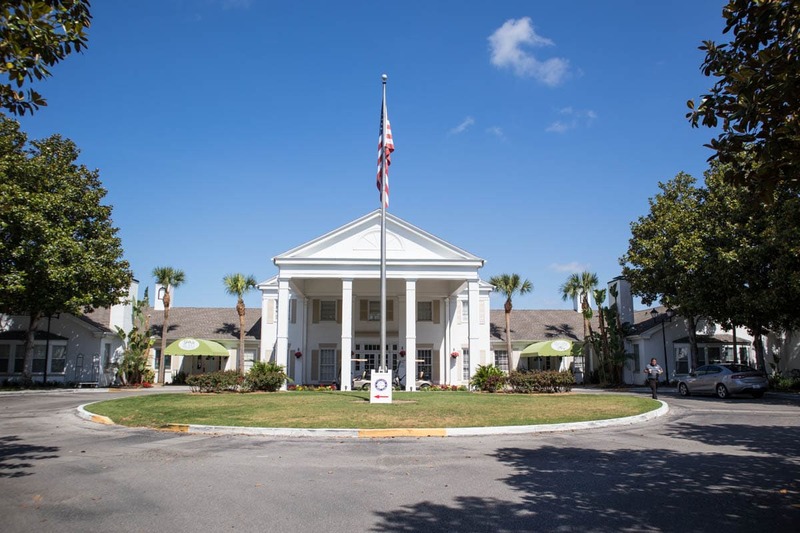 We booked our tour through our hotel (see below) who offer manatee tours each day. This involves passive observation, meaning no touching, grabbing or kissing! Once you’ve donned a wetsuit and snorkel, you get into the water and float close to them. It’s an incredible experience, and one I’d love to return to do in the winter months when the number of manatees in the area multiples from around 20 to 600! 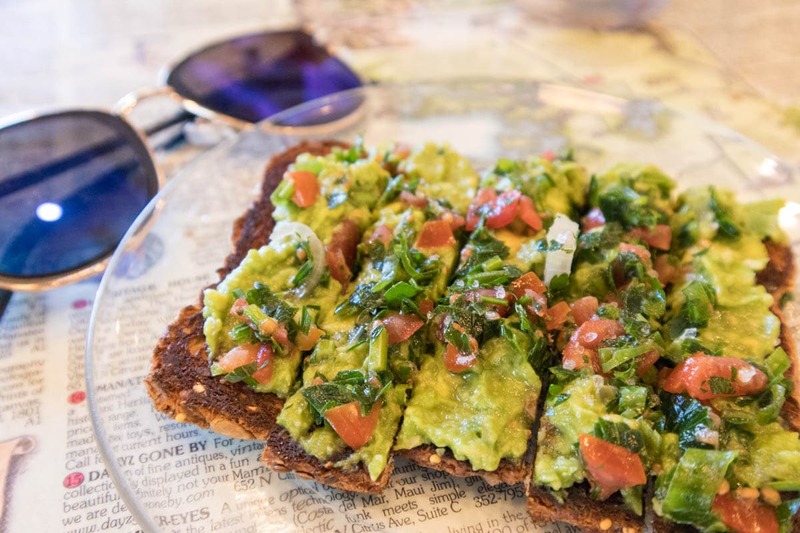 After your swim, enjoy brunch at Tea House 650. I enjoyed a tasty avocado toast and a strawberry milkshake (brewed with tea of course!!) It was also fun checking out some of the gifts on offer including Manatea – a tea strainer in the shape of a manatee! So cute! 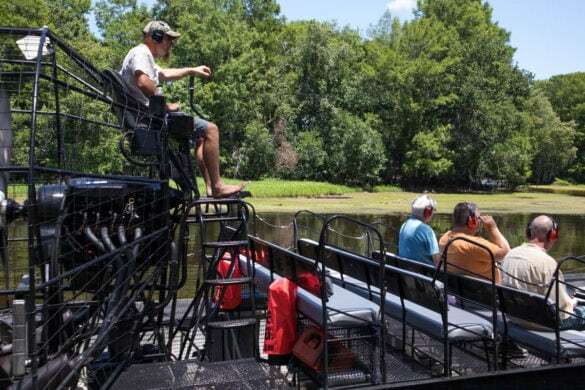 After brunch, drive to Wild Bill’s Air Boat Tours and take an adrenaline-filled trip through the swamps! The views reminded me of my time visiting the Bayou in Louisiana, and my discovery that swamps were calm, beautiful places, and not the dirty, unappealing spots I’d seen Shrek! 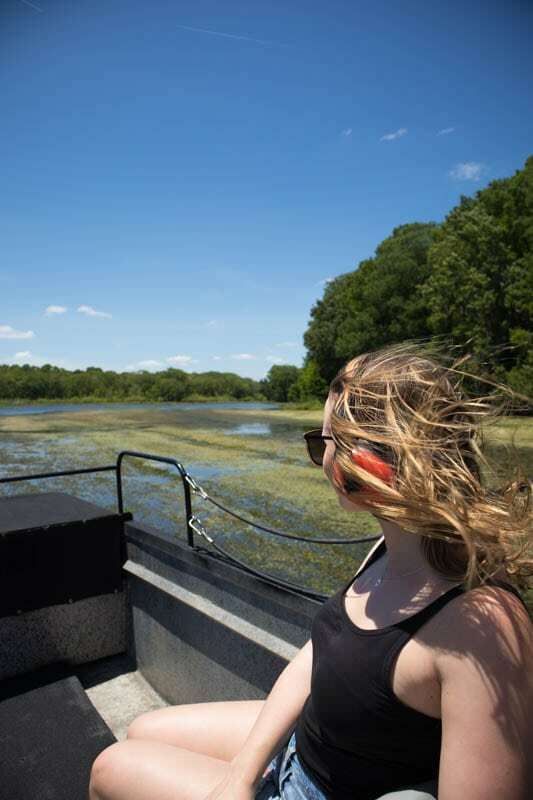 Our guide and driver chatted about the indigenous wildlife in the Withlacoochee River wetlands, which included alligators, crabs, snakes and plenty of birds, before picking up some serious speed on the air boat! It was a great way to round off our time in Crystal River. 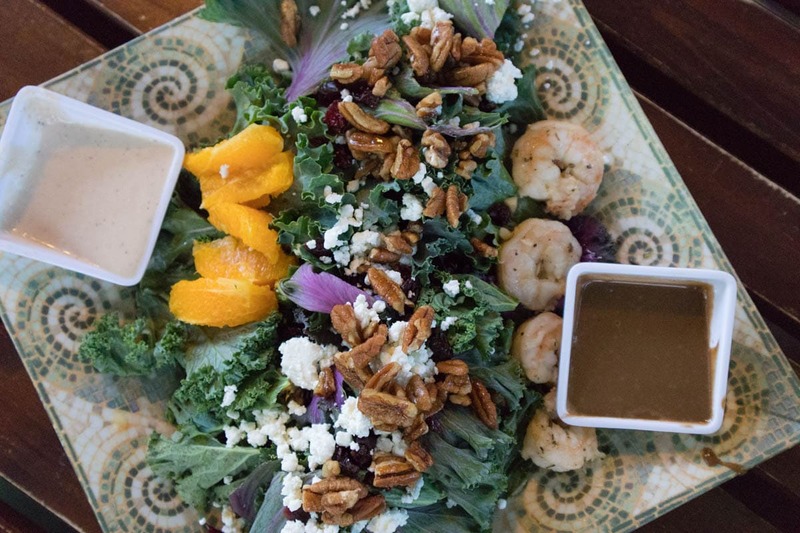 Enjoy a healthy, relaxing dinner at Greenhouse Bistro Market. 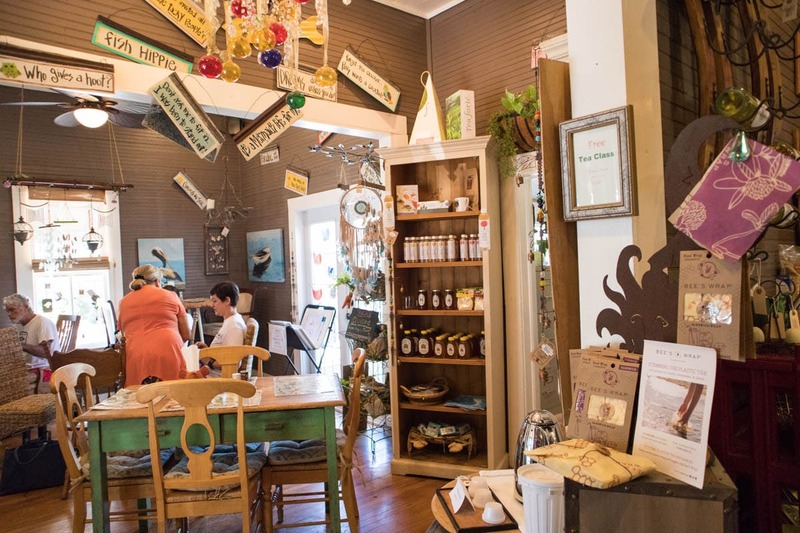 This cute restaurant backs right onto the water and serves up healthy dishes including salads, ceviche and fresh seafood. The décor was super cute too! We stayed at Plantation on Crystal River. Arriving at this 232-acre resort feels a bit like arriving at the White House! It’s so grand with its big white columns and impressive driveway. No wonder it’s a popular sport in Crystal River for weddings. There’s a pool, restaurant and tiki bar around the back too, as well as stunning views right onto the water. It’s also the perfect place to catch 40 winks before waking up early to swim with manatees! Check latest prices here. 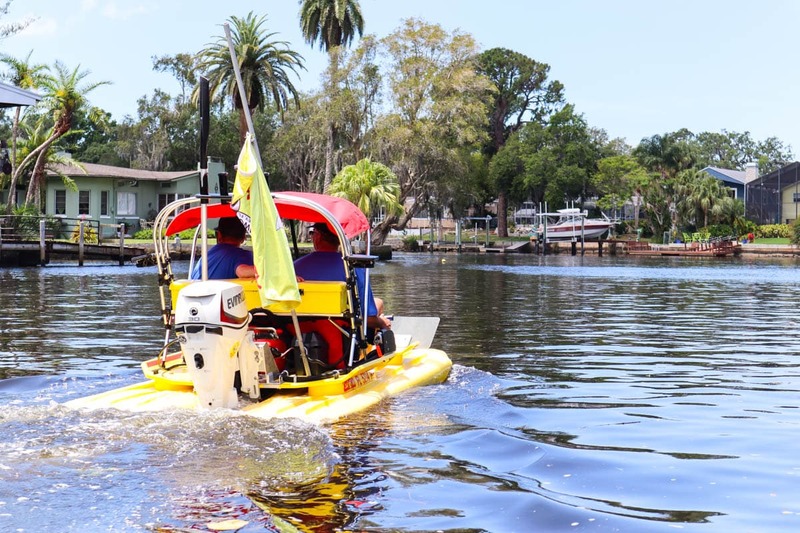 After breakfast, head over to Gill Dawg Adventures for of of their CatDawg adventure cruises. I’d never tried a 2-seater catamaran before, but can genuinely say this was SO much fun! They reach speeds of 30mph, which when you’ve got the wind in your hair, feels seriously fast! We started off by heading along the river in Port Richey, checking out some of the beautiful waterside houses (including a bizarre one with its very own Jurassic Park theme, complete with several dinosaurs!) before turning back and heading out into the Gulf. This was where I felt just how fast these things go! We did laps of some of the historic stilt houses and a paradise island, before heading back to land. What a thrill! 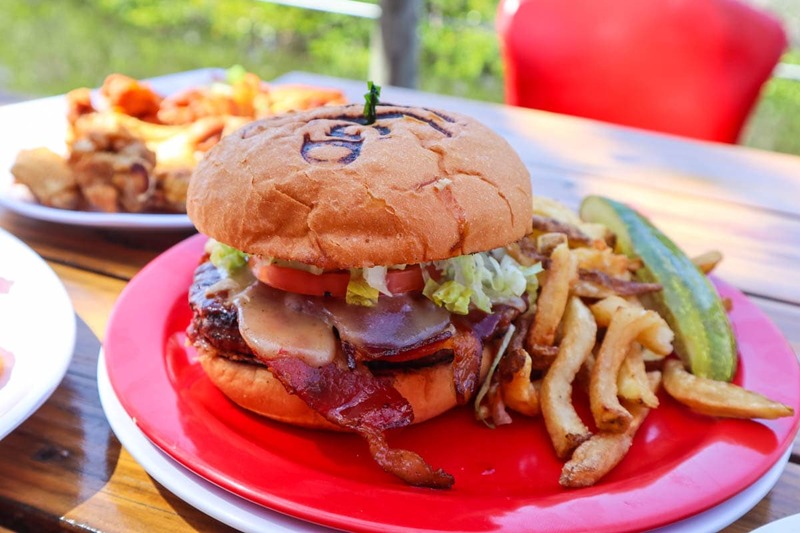 Unwind with lunch at Gill Dawg Tiki Bar And Grill. After all that adrenaline, relax with a cocktail by the water, and tuck into some calorific delights! Their BBQ burger is absolutely delicious and I loved the pina colada served in a pineapple too! After lunch, if you fancy a bit more fun on the water, head to SunWest Park. This beach in northwest Pasco offers tonnes of watersports including wakeboarding, kayaking, paddleboarding and a super fun inflatable course that kids and grown ups will love! 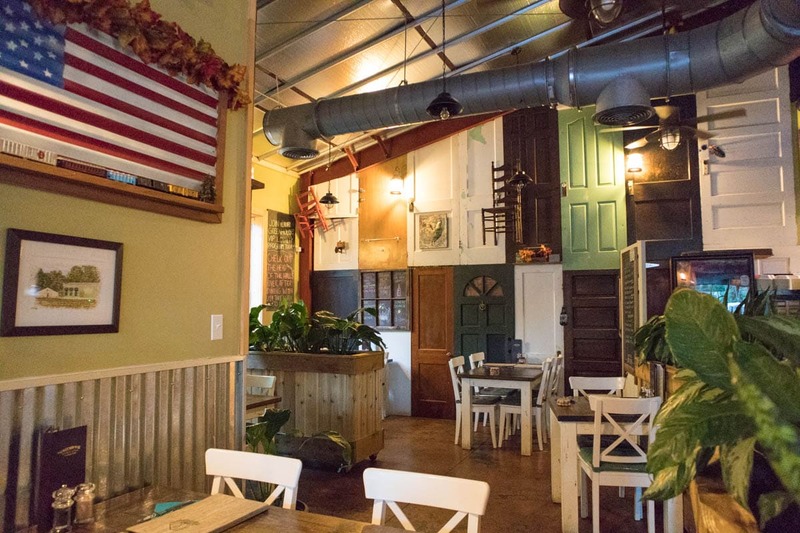 Enjoy dinner at Noble Crust in Wiregrass’s outdoor shopping complex. 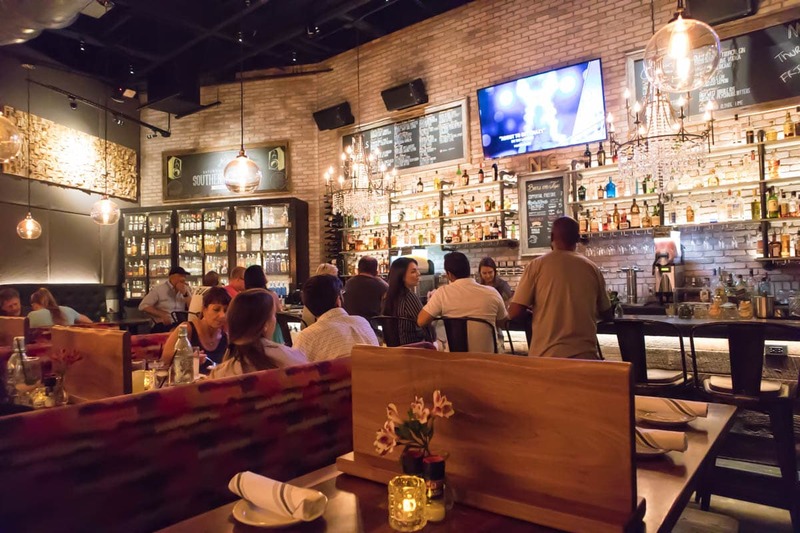 This buzzy restaurant combines fine Italian cooking with Southern ingredients to create a menu featuring pizzas, southern fried chicken, shrimp and grits and steaks. 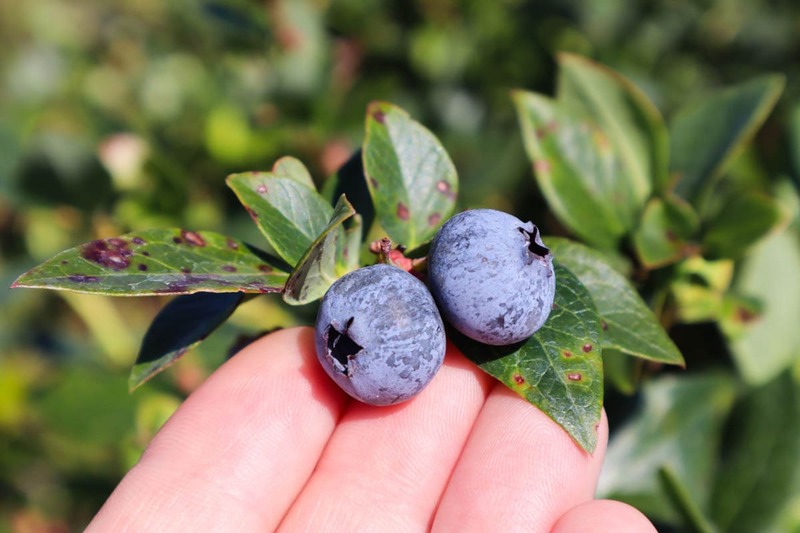 After breakfast, take a trip to Starkey Blueberry Farm and enjoy a relaxing morning of blueberry picking. 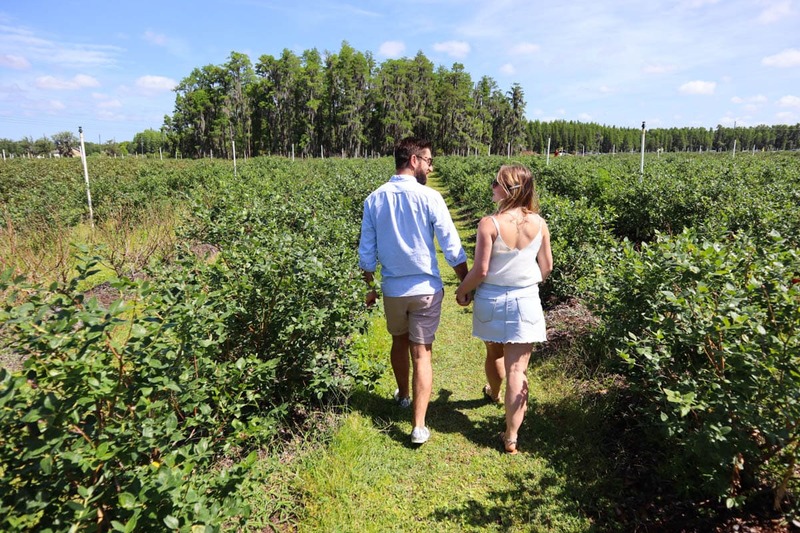 This farm is relatively new, but is home to over 40 acres of blueberry trees. The blueberry season only lasts around 55 days, but we caught the tail end of it during our trip at the start of May. Around 1,200 people visit on Saturdays and Sundays, so this is a real locals activity. It’s a great one if you have kids too! Fancy a challenge? 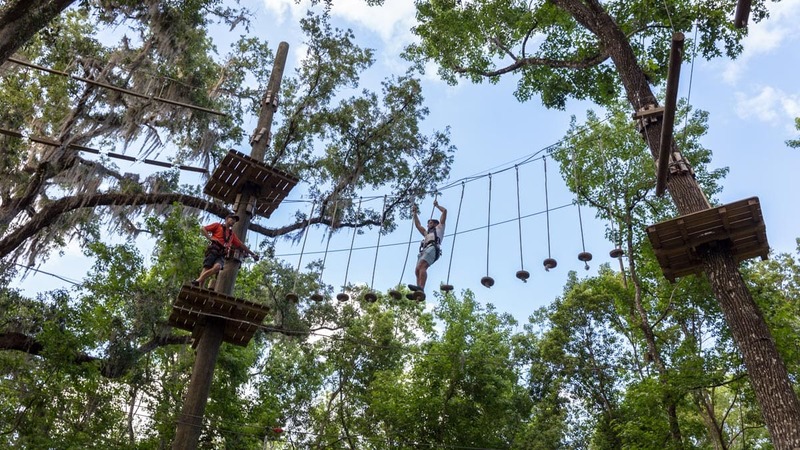 Spend the afternoon at Treehoppers Aerial Adventure Park. I’ve done a few zipline and tree top courses before, but would say this is one of the most challenging (or perhaps I’ve become more of a wimp!) It was fun to test myself, both mentally and physically, but after completing the green run, I called it a day. Obviously, my partner Macca is braver than me and instantly decided he wanted to try the double black. Only 30% of people make it to the end of that one, and I’m proud to say he did! Big thanks to Visit Florida and Visit Pasco and Discover Crystal River for collaborating on this trip. Also thanks to Hertz for our lovely Chevy to get us around the state! As always, all opinions are my own! Thanks Ryan – it was such an incredible experience. I’d love to return in high season and do it again! Did you get to swim with the manatees???? Heard there’s a place they let you do that in FL, don’t know if it’s true though. 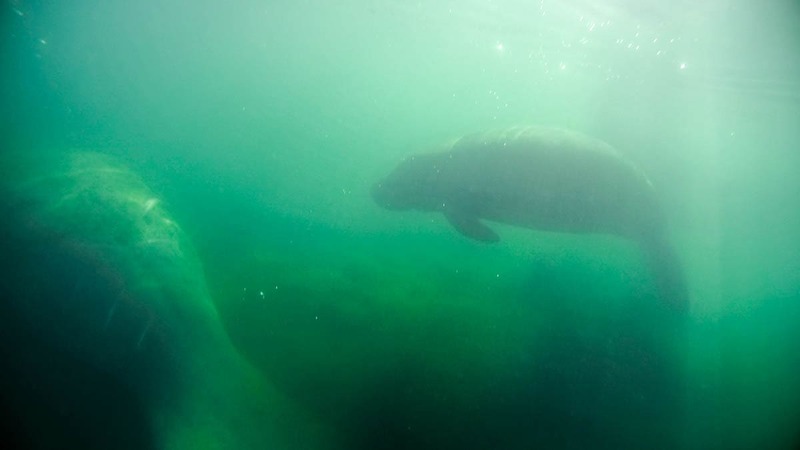 Hi John – as mentioned we did get to swim with manatees! It was absolutely incredible!